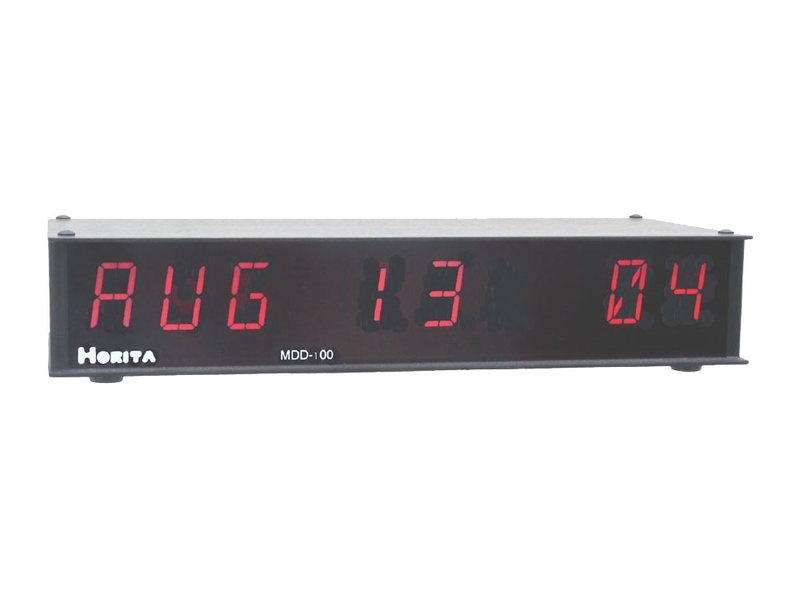 The MDD-100 is an ideal date display device for use with the HORITA GPS-MTG2 Master SMPTE time code generator or the GPS based Horita UTG-50 Universal Time Code Generator. 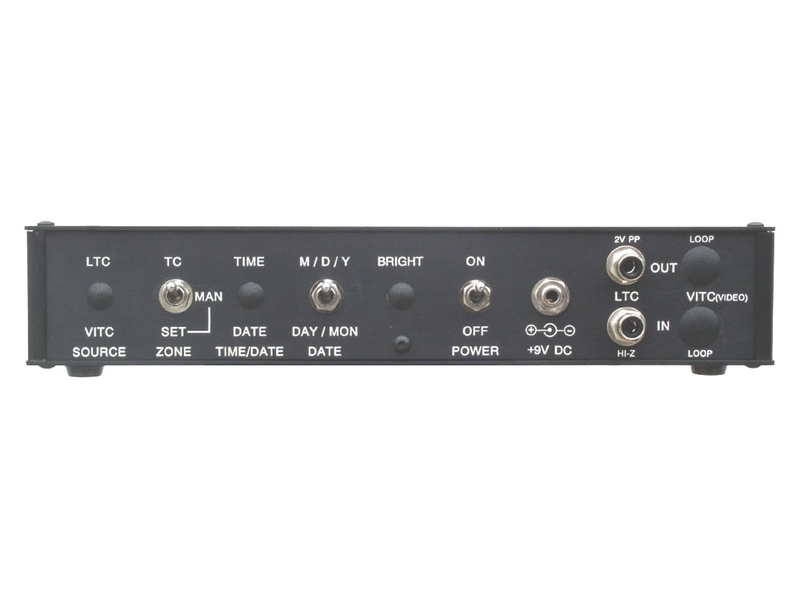 The time comes from the time code "time" value, while the date and time zone come from the "user bit" data portion of the SMPTE time code input. Displays day-of-week/month/day ("WED JAN 01"), or month/day/year ("JAN 01 16"). Eight digit alphanumeric LED display readout with .8" high red characters provides good visibility and legibility from across a room. Time zone switch permits changing the time zone to display the local date of other geographical areas anywhere on the globe.